I hadn’t come across Jane Zhang before watching this excellent music video for her song Dust My Shoulders Off. Known in her home country as Zhang Liangying she won a TV talent contest in 2005 and hasn’t looked back since. 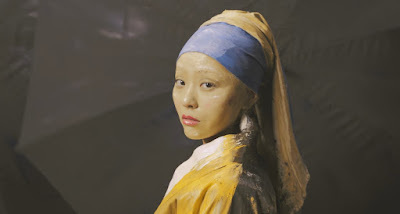 This is a very catchy song but it’s the video that really caught my eye – 13 works of art are used in the video with Zhang at the center of each. See how many you can spot (you can see them all below but no peeking! ).